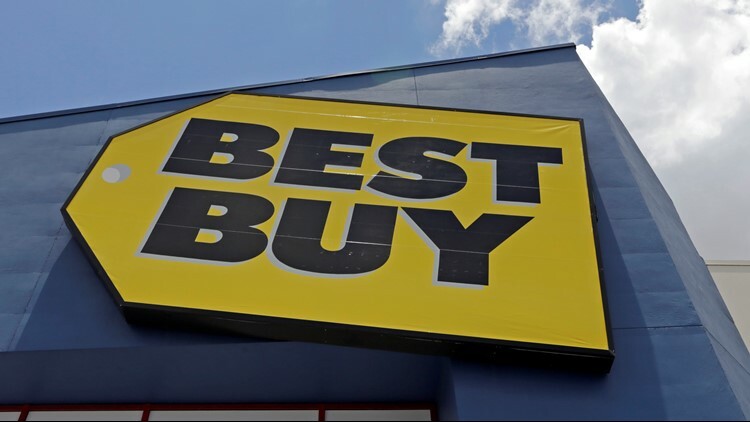 NEW YORK — The CEO credited with reviving a struggling Best Buy is stepping aside. Joly, 59, took the helm of Best Buy in 2012 and focused on driving online revenue and the in-store experience as traditional retailers struggled with dwindling foot traffic and sales. Online sales now account for about 22 percent of the company's business. Joly was focused not just on selling products but solving customers' needs. "Best Buy ran into a problem that all retailers, brick and mortar retailers, ran into... internet sales were killing them and Best Buy kind of had it worse in a sense because people were using them as the public library. They would go to their stores, use their personnel to learn about the product and then go home and buy it online. He figured out that we have to capture those customers that even if they do buy online, they buy it from Best Buy," said Dave Vang, a professor of finance and retail expert at the University of St. Thomas. Barry has been with Best Buy since 1999 and helped build those strategies that brought the company success. A Best Buy spokesperson said customers and employees will not see a dramatic change and that Barry will continue the momentum they've have been able to achieve. Vang predicts it will be a smooth transition and said, "She's not someone from a totally different industry who has to learn what the big issues are and she doesn't have to learn afresh a lot of the details and challenges that they already have." Joly will move into a newly created position as Executive Chairman of the Board. In a blog post, Joly mentioned wanting to spend more time with family. Barry is currently the company's Chief Financial and Strategic Transformation Officer. In June, she will become Best Buy's first female CEO. Barry is an alumna of the College of Saint Benedict and also serves on the board of trustees. She also serves on the board of directors for Domino's Pizza. In a blog post, Barry talked about the changing retail landscape and said, "What's been very helpful is that in the last couple years we've gotten very clear on our purpose, and that is to enrich people's lives with technology. That purpose is not about what we think is best, it is about what our customers really need and want in order to make their lives better." Barry will officially become CEO of Best Buy on June 11, following the company's annual meeting of shareholders. She will also join the board of directors, which is expanding to 13 members.